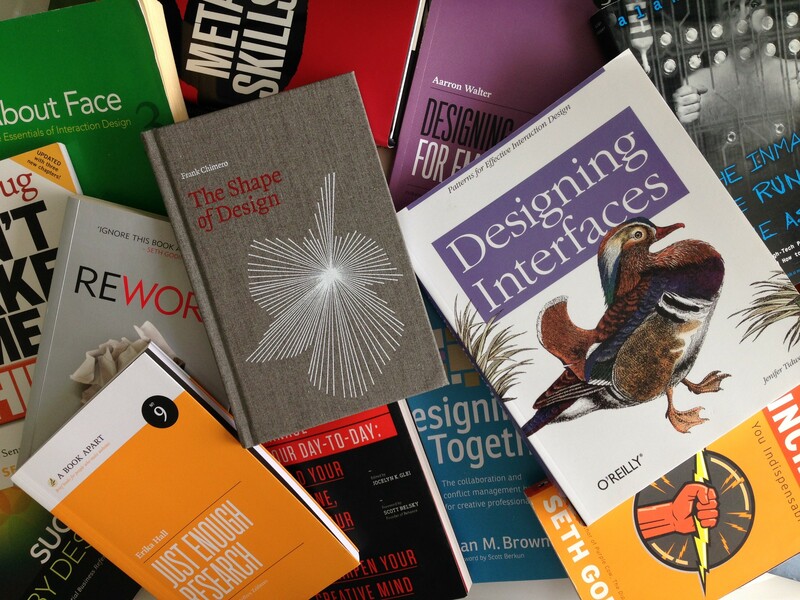 This reading list is for anyone who wants to learn or deepen their knowledge in the disciplines of User Research, Usability, Information Architecture, User-Interface Design, Interaction Design, Content Strategy or Experience Strategy. The list is broad and includes books that exemplify design thinking, processes, methods, principles and best practices. Some of the books on this list are over 20 years old, yet still relevant more than ever. There’s not a day where I don’t find myself applying the ideas from these books. Each has helped shaped the designer I am today, helped me advance my craft. I hope that you too, can extract the same value. I find it helpful to choose what to read based on what’s relevant at the time. Applying what you’re reading, as you’re thinking and making is a great way to solidify concepts, reflect and learn. Some old, some new. All important reading, in no particular order.